I know marketing. I know when I'm having my emotional buttons cunningly pushed. I know that there are many things from my childhood that have faded out of memory. Things that, if I encountered them now, I'd probably just pass right by. I also know that I should find the prospect of crowds and queues annoying. Yet somehow the night before a visit to Hong Kong Disneyland I can hardly sleep. I feel a tangle of excitement coiling up, butterflies even. It shouldn't affect me like this. How do they do it? As a kid, just about the most exciting thing I could imagine was a trip to Disneyland. Occasionally a posh friend might head to California during school holidays, returning with mountains of astonishingly flavoured bubble gum (Grape! What will they think of next?) and mesmerising tales of a day or two at Disneyland. It was too much for this kid. And so no matter how hard I try to keep a lid on it, even with half a dozen trips to Disneyland now under my belt, when the Disneyland train pulls up at Hong Kong's Sunny Bay station with its Mickey-shaped windows and hand-holds, I'm a grinning fool. Much to my wife's concern, I am 10 again. 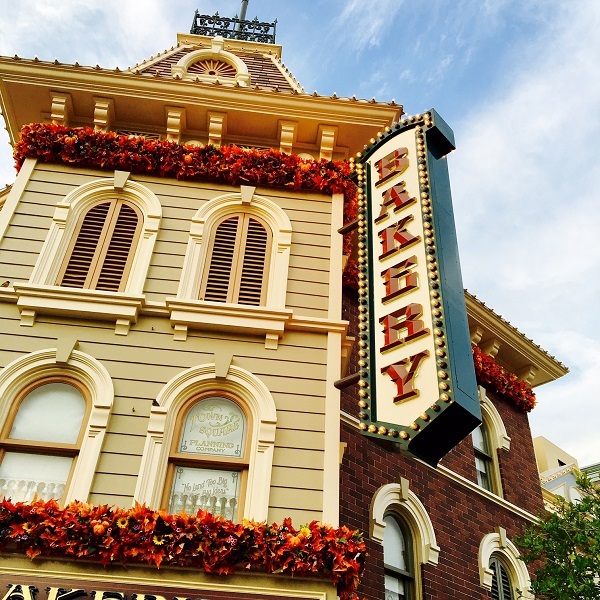 If you've ever been to Disneyland, you'll know that attention to detail is everything. It's totally immersive. An extraction from out there to in here. There's no flimsy facade, no curtain and no obvious way to sneak a glimpse behind it. It's all real. It's a treat of tricks of the very highest order. Genius, in fact. 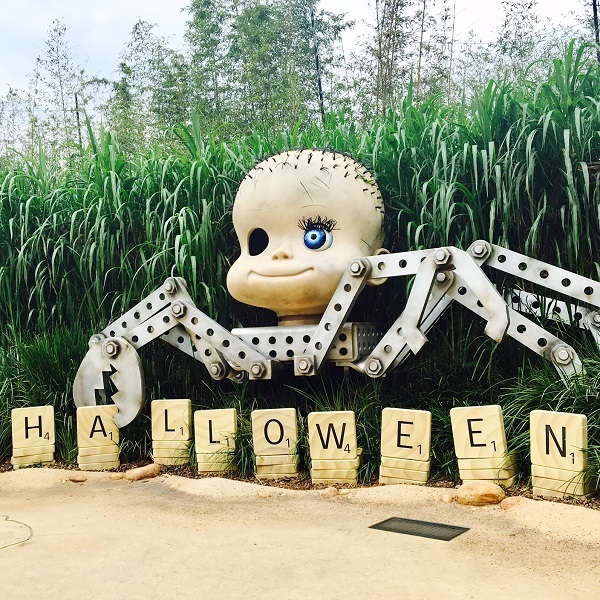 We arrive right in the middle of Hong Kong Disneyland's annual festival of villains and spine-tingling thrills - Disney Halloween Time. And as you might expect from Disney, it's not done by half. 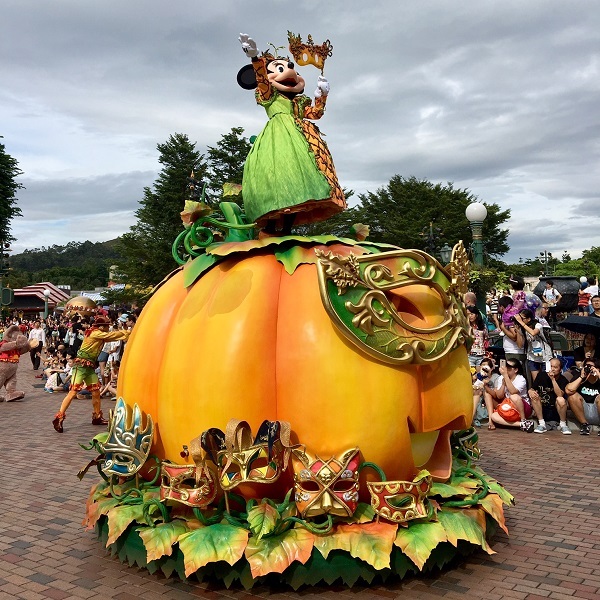 We're greeted by a huge Mickey Mouse pumpkin at Town Square, and all the way up Main Street we see street lights and shopfronts bedecked in Halloween-y embellishments. 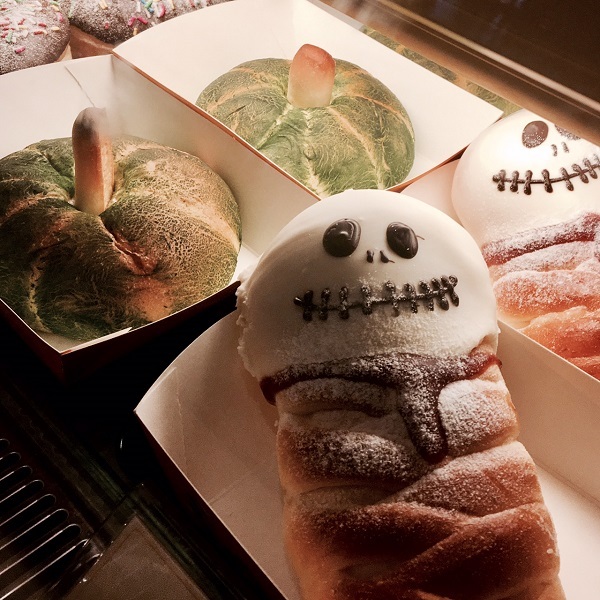 Step inside the Market House Bakery on Main Street USA and you'll find even the baked treats have been tricked up with a spooky flourish. We quickly spot Mickey and Minnie in their seasonal Halloween regalia, and as Mickey's Halloween Time Cavalcade parade draws visitors from all parts of the park back to prime viewing spots on Main Street USA, we nip across to Tomorrowland and that iconic Disney attraction - Space Mountain. Much to the surprise (and delight) of my 10 year old self, Tomorrowland is in the grip of a complete Star Wars takeover, meaning Space Mountain is now - gasp - Hyperspace Mountain, complete with every Star Wars cue imaginable. With seemingly all other Disney-goers happily distracted by the parade on Main Street, after a mission briefing by Admiral Ackbar (and an absurdly short wait), we rebels take off through Space Mountain darkness bound for Jakku. 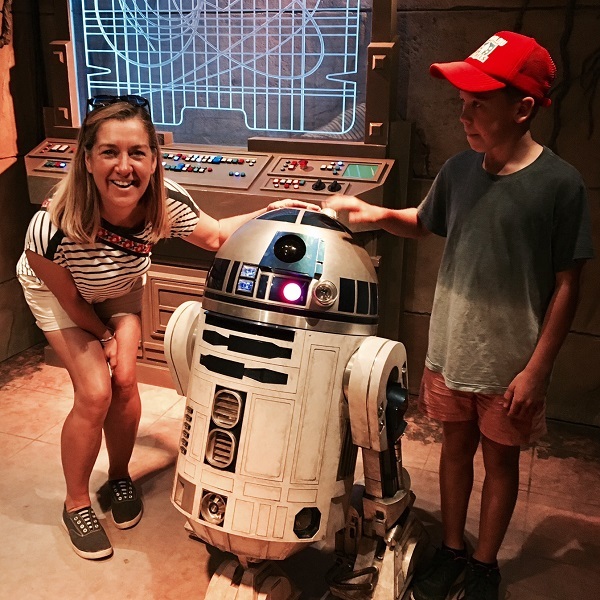 The Star Wars takeover of Tomorrowland includes a Command Post where we meet everyone's favourite droid, the utterly charming R2D2. There's also Jedi Training in full robes for the littlies ('Trials of the Temple' for kids 4-12), and a fleet of Star Wars treats like the Darth Vader Burger, Yoda Soda Slush and Millennium Falcon Fried Rice: delicious victuals from a galaxy far, far away. After dark during Disney Halloween Time, villains from 24 Disney stories own the park, casting spells on the nighttime spectacular, and leading the Villains Night Out cavalcade. A rare gathering of baddies indeed. When I last visited in the late noughties Hong Kong Disneyland was home to just 4 lands including Main Street USA. It's fair to say it felt small. But since that time the addition of three new lands has enhanced the offering massively. Toy Story Land, Mystic Point and Grizzly Gulch offer new rides and attractions aplenty and, significantly, more space and nooks to delve into. 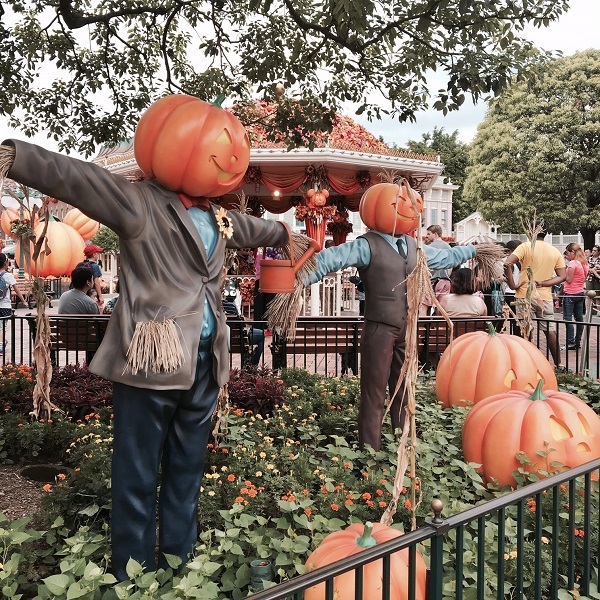 Hong Kong Disneyland now feels large, and exploring it a real adventure. There's enough here now to fill a full day with magic and, especially during Disney Halloween Time, wickedly childish fun. Even for the most rational grown-up.